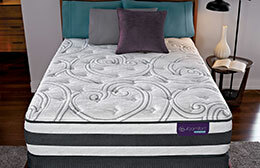 Twin, Full, Queen Mattresses, King Size Mattresses Now on Sale! 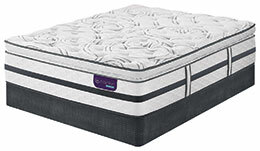 1-800Fastbed Mattress is the best place to buy a Serta mattress we carry discount Serta Perfect Sleepers, Serta Icomforts, Serta Mattress in a box, twin, full, queen mattresses,king we have your mattresses all at factory direct prices.We have been a factory authorized dealer for over 40 years. 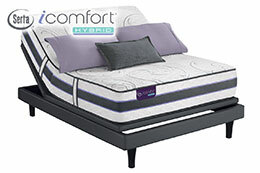 Choose among Serta's Firm, Pillow Soft, Euro Top and Pillow Tops, Mattress in a Box, Perfect Sleeper mattress sets. Perfect Sleeper® is the ultimate combination of comfort and value - with the important features you need for an invigorating night's sleep that affects both your mind and body. Plus, every Perfect Sleeper comes with our exclusive open-flame resistance system, Fireblocker®, to keep you and your family safe. The SERTA PERFECT SLEEPER has been the best - selling premium mattress on the market for years. There are several reasons why. Unmatched comfort, support, and durability -- the building blocks for a good night's sleep -- are benefits the world has come to expect from Serta mattresses. 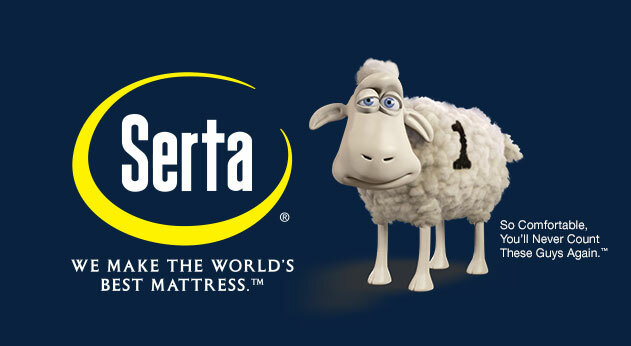 Serta® has stood for quality, innovation, and dedication. The Serta Perfect Sleeper ® is the ultimate combination of comfort and value, providing the important features you need for a satisfying night's sleep. 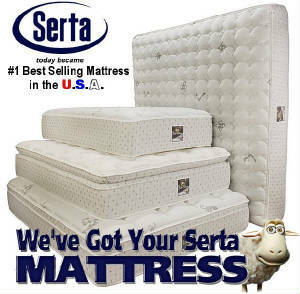 Serta's Perfect Sleeper® Collection has been the best-selling mattress line in America since the 1980s. For those who place a premium on the quality of their sleep and the quality of their lives, this is the mattress you've been looking for. This is the top-of-the-line mattress from Serta, and every feature has been crafted to the last detail, so every detail leads to a day full of energy and vitality. The Serta iSeries shares the benefits of a memory foam mattress and the comfort and support of traditional innerspring mattresses, thanks to the iSeries Hybrid Sleep System. These mattresses combine the same memory foam innovations of the all-foam iComfort™ Sleep System with the support of an advanced innerspring system. This unique construction enables intelligent cradling and cooling comfort, with individual support for each partner. 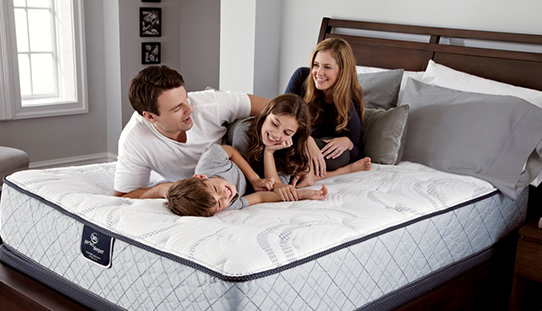 Every new iSeries mattress features Cool Action™ Dual Effects™ Gel Memory Foam, Serta's newest breakthrough in gel memory foam. This is the first material to combine MicroSupport™ gel and MicroCool+™ gel in a material with up to 25% more gel than the original formula. The coil support system has been upgraded with more Duet™ coils, which helps to properly balance comfort and support, regardless of body type. 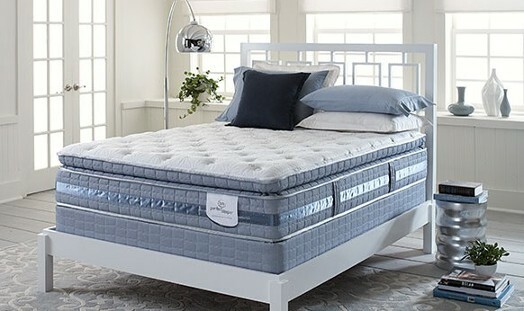 There are two iSeries mattress collections to choose from, both with models ranging in feel from extra-firm to luxuriously plush, so you can find the iSeries model that meets your unique comfort preference. The original iSeries® collection is now enhanced with both Cool Action™ Dual Effects® Gel Memory Foam and an upgraded Duet® Coil Individually Wrapped Coil-in-Coil Support System for intelligent cradling and cooling comfort with deep individual support. The new top-of-the-line iSeries® Profiles™ collection features Serta's most advanced comfort and support technologies in a luxurious and sophisticated design. Each iSeries Profiles mattress also features our new exclusive EverFeel™ Technology for a difference you'll feel the moment you lie down. Serta's True Response® mattress collection features an advanced combination of high-density Visco-elastic Memory Foam and temperature-regulating Smart Fabric Technology™ by Outlast®. The memory foam gently conforms to every part of your body, reducing pressure points and providing proper spinal alignment. Meanwhile, the Smart Fabric Technology helps reduce the temperature swings that can disturb your sleep. True Response® by Serta® offers the latest in Memory Foam technology to help reduce pressure points and reduce tossing and turning while eliminating the heat typically associated with memory foam.